The Holden Corkshell Summit Jacket is quite expensive but has some very interesting adaptable waterproofing/breathability tech. 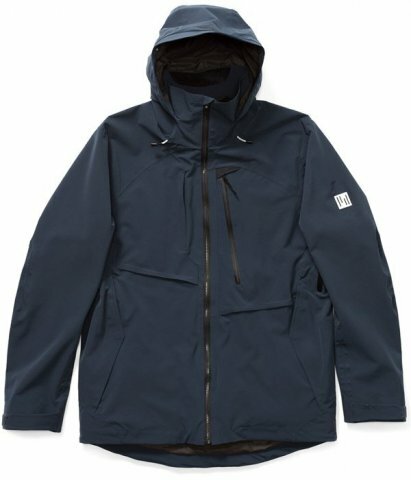 It’s a very unique jacket that feels really great on and has that slightly thicker softshell feel that is great for mountain riding. It’s also a bit warmer than most standard shells just because it’s using a little thicker soft shell material. The unpublished waterproofing and breathability gives some concern at this price point but Gore-Tex does the same and we all still buy it. At this price, it’s hard to recommend but I sure would like to own one and it has a very flattering cut for most body types. We try to get as many images of the Holden Corkshell Summit Jacket, but forgive us if they're not all there.